If you don’t measure before and after implementing a change in a process, you can’t quantify the impact of the change. That’s why we define our KPIs (Key Performance Indicators) in order to have a set of indicators to focus on. Improving these indicators will direct our business processes towards reaching our improvement goals. The major KPI for most companies is Profitability, which is revenue divided by the investment of the company, (revenue is the difference between sales and costs). 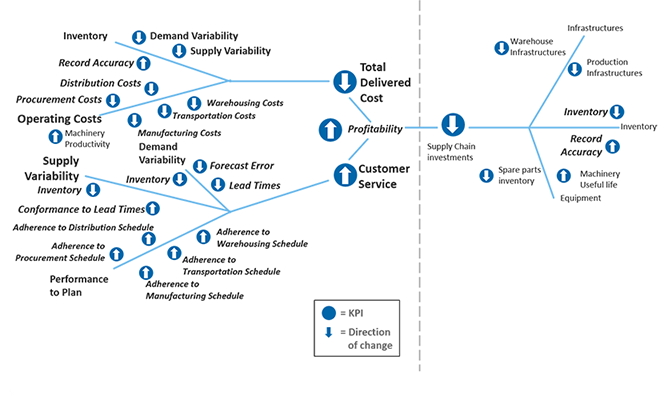 How can Supply Chain activities improve profitability for a company? Decreased costs – this is the classic historical objective of Supply Chain Managers; to keep the cost as low as possible, while maintaining or improving the service level for internal or external customers. But it is not the one to focus on any longer. Decreased investments – this has become more and more relevant in the last decade, as it’s not just about revenue anymore. The focus has turned to profitability, and getting the most revenue from the smallest investment. Investments are a dividing factor in profitability, so reducing investments will have a bigger effect in profitability than the same reduction in cost. Improving sales – Supply Chain hasn’t traditionally focused on adding value, but in the last 10 years there is a trend demanding Supply Chain to become more strategic, add value and increase sales. 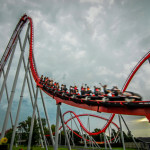 Supply Chain managers can do this by improving service levels to increase customer satisfaction. *Keep in mind the graph is just a representation of some of the more important KPIs, but doesn’t cover all the possible and specific KPIs of every industry at all levels. 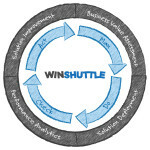 How can Winshuttle’s Lean Data Management approach help you improve your KPIs? customers and future sales are lost based on not reaching the agreed lead times. This is a critical KPI! Inventory often hides other inefficiencies. The inventory level should be kept to a minimum that allows the company to run the operations without issues (easier said than done). 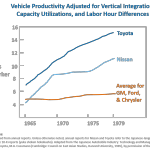 The more variable the demand, the more inventory that will be needed. All of the implications in cost and investments will effect profitability. Inventory is affected by supply variability. The higher the supply variability, the more inventory a company will need to cover that variability. If the lead times of the processes are not regularly met, you risk an impact to the business. Many try to cover this with higher inventory levels, but this a very bad idea. If the lead times of the processes are not regularly met, you risk impacting the business or trying to cover this with higher inventory levels, which is the wrong idea. Equipment: measuring the investments in machinery, spare parts, tools etc. Poor maintenance and a lack of preventive maintenance decreases the life of machinery and industrial equipment; requiring unscheduled investments in new machinery. Removing a source of errors for forecasting and decisions. Eliminate ERP data errors in spare parts data that could affect production. Only having spare parts that the operations really need, no more, no less. Improvements in Plant Maintenance operations and increasing the useful life of machinery. Reduce the overall cycle time by removing waste around the process. Instead of manual or email based processes, Winshuttle allows companies to streamline workflow processes that removes rework and delays from the processes. For example, stock can be managed with cleaner and better materials information which will eliminate ERP data errors that could have meant higher/lower inventory levels. This also leads to smaller warehouses. In summary, the Winshuttle platform utilizes lean applications that streamline data collection, data validation and data movement. Using existing investments, these lean applications are built iteratively in short cycle times, to help you meet and exceed your KPI goals, and improve process efficiency.